Our goal is to provide personal & confidential real estate services with an emphasis on honest and dependable business practices. Specializing in Gulf Harbour, our strong Midwest work ethic, marketing skills and negotiating abilities will bring buyers and sellers together creating win-win relationships. Once the decision was made to live in a sub-tropical climate, owners Greg & Jo Callaway traveled for 5 months in a motor home looking for the perfect community. Greg & Jo are Gulf Harbour residents and Country Club members, they own a Gulf Harbour Marina boat slip for their boat and know all the cruising grounds, it is truly a cruisers paradise! Our office is fully equipped with an integrated network of computer and communication systems. We have instant access to the MLS, the public records and other tools and services that we need in order to better serve you. We are located across from Gulf Harbour on McGregor Blvd. and offer virtual presentations of all 22 neighborhoods, Country Club amenities, Marina and boat slips and all our rental property. 15301 McGregor open 7 days a week October through May, weekdays June through September. Greg has more than 25 years of professional full time real estate experience and has closed over 500 sales transactions. 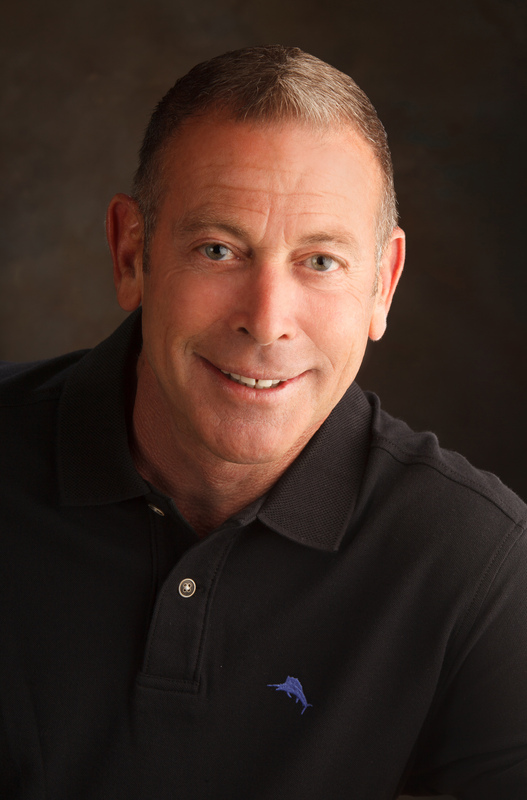 Greg has gained strong expertise in both marketing homes and representing buyers. A designated "Relocation Specialist" with service evaluated as "Excellent" by 95% of his clients. Greg is a Licensed Broker and Realtor. Greg & Jo relocated to Ft. Myers from the Great Lakes for the weather, lifestyle and boating opportunities. They are members of the Gulf Harbour Yacht Club, Sports Equity Club members, Gulf Harbour residents & own a slip for their boat in the Marina. Voted Five Star Professional for 13 Years. You can contact Greg direct at 239-851-8783. Jo has in addition to over 16 years of full time real estate experience, a Master's Degree in business with over 20 years' experience in the financial services industry, along with Graduate Realtor Institute (GRI) and EPro designations, Jo's customer service skills provide Gulf Harbour Properties, LLC with a professional edge that guarantees our clients will receive superior representation. Jo is a Licensed Broker Associate and REALTOR. Voted Five Star Professional for 10 Years. You can contact Jo direct at 239-980-9999. Sandy is proud to say Real Estate has been her life long career. With over 35 years' experience beginning in the Twin Cities of Minneapolis-St. Paul and now in the Ft. Myers area she is doing what she does best...bringing buyers and sellers together. Sandy is a resident of Gulf Harbour and an active member of Gulf Harbour Yacht & Country Club. She has the unique ability to truly understand her clients' needs while maintaining the highest level of professionalism and consistently delivering top notch customer service. You can contact Sandy direct at 239-898-2472. Susan has over 8 years full time real estate experience. She has achieved multiple designations in the International Sterling Society and the International Diamond Society representing the top 13% sales associates across the country. Susan is experienced in Lee and Collier County including Ft. Myers, Ft. Myers Beach, Bonita Springs, Estero, Naples & Cape Coral. Susan is a Gulf Harbour resident and Licensed Sales Associate and REALTOR. You can contact Susan direct at 239-691-2959. Marc is proud to call SW Florida home and has for over 30 years! As a Gulf Harbour resident and member, Marc thoroughly understands the expectations of those looking for their piece of paradise in the Iona McGregor corridor. Finding the perfect home or helping maximize what you receive for your current home is the challenge that keeps Marc immersed and focused on the ever changing landscape of Lee and Collier counties. Honest and direct, Marc’s expert perspective will make him an asset to you and the Gulf Harbour Real Estate team. Lori Frantz has been a resident of Fort Myers since 1989 moving to Gulf Harbour in 1999 to raise her 4 childred. She received her Bachelor*s in Business Administration in Marketing from Florida Gulf Coast University. The enjoyment of boating prompted her to obtain her captain*s license and she continues to enjoy the waters of SW Florida. Combining her knowledge of Gulf Harbour with her background of business and marketing provides her clients with an excellent resource. Lori is a Licensed Sales Accociate and REALTOR. B arry Lazarus came to the Fort Myers area from Miami 17 years ago. He is originally from New York. The burgeoning art scene in Miami led Barry into the home fashion business, during which he also attended The International Academy of Design in Tampa, Florida. Barry’s keen eye gives him a unique perspective when it comes to finding the perfect home. Jackie is our Office Manager responsible for the day-to-day operations of the office and providing organizational support including showings, MLS and website maintenance of GulfHarbourProperties.com, all promotional material production and distribution. Jackie is originally from Michigan and followed her Grandfathers footsteps by obtaining her real estate license in 2008. Jackie is a licensed Sales Associate and REALTOR. She has a great deal of experience in Administrative Support and Property Management. Jackie is a licensed Sales Associate and REALTOR. You can contact Jackie direct at 239-220-3675. Linda - is our Operations Manager responsible for all aspects of our brokerage. Her experience ranges from Marketing to Customer Service to Property Management. Linda assists Jaimee with our rentals and Jackie with the day to day activities when needed. She also assists Greg & Jo with sales and oversees the closing procedure once an offer is accepted. Linda relocated from Ohio to Ft. Myers in 2002 and obtained her real estate license in 2009. Linda is a licensed Sales Associate and REALTOR. You can contact Linda direct at 239-898-5764. Jaimee is our Property Manager responsible for seasonal and annual rentals plus management of homes in our listing inventory. She has more than 19 years' experience in managing luxury apartment communities and completed her CAM (Certified Apartment Manager) certification in 2001. As property Manager of our Gulf Harbour rentals, she will provide our clients with her professional expertise and excellent customer service. Jaimee relocated from Wisconsin in 1995. Jaimee is a Licensed Sales Associate and REALTOR. You can contact Jaimee direct at 239-910-5181.